Open up any ‘must see’ guide for Bangkok, and at the very top of the list you’ll find the Grand Palace. You wouldn’t visit Paris and miss out on the Eiffel Tower, or Rome without venturing out to the Colosseum. So if you’re in Bangkok, you kind of have to see the Grand Palace, or you feel like you’re missing out. Every single person visiting the city has exactly the same feeling…. The first shock comes at the ticket office. 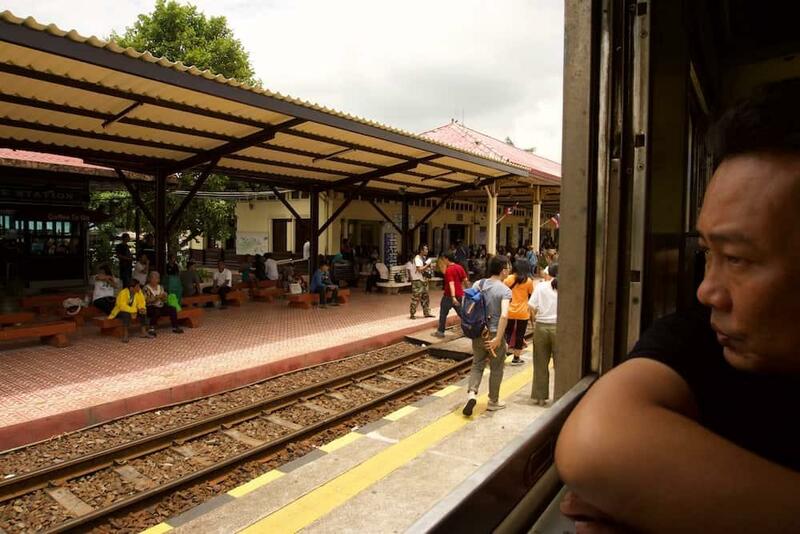 500 Baht in western terms is not alot of money – about £11.50 at the time of writing. 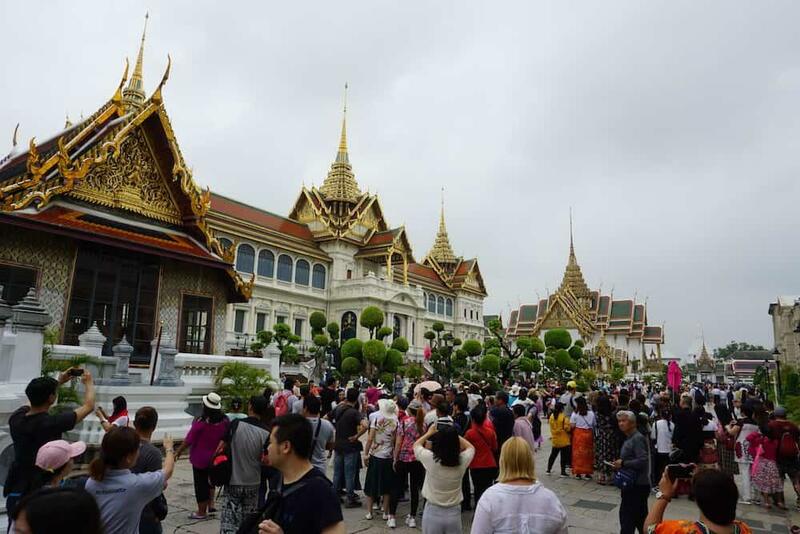 But to context it in Thai terms, based on the fee alone the Grand Palace is setting its stall out as being five times better than the neighbouring Wat Pho, or ten times better than Wat Arun just across the river. This is the sightseeing equivalent of paying £20 for a £4 t-shirt just because of the logo on the front. The second shock is the crowds. Wow, this place is busy. We’ve been in Bangkok for a week now, so are well acclimatised to life in this city, but this knocked us sideways. We’ve checked in to many others of the big attractions in Bangkok: Wat Pho, The Jim Thompson House, Wat Arun, Lumphini Park and even Terminal 21, but nothing had even begun to prepare us for this. Maybe this is why they keep the fee so high, because if I’m honest it’s the only reason I stuck around for longer than 15 minutes! We entered an arena where selfie sticks are used as weapons, children as body shields and personal space is something people talk about in a historical context – like playing jacks, a skill people used to have, but don’t really bother with anymore. I’ve often wondered how many of other people’s photos I’m in. When they’re flicking through their family holiday pics, how many of them have my double chin and hawkish nose as a backdrop? It’s a question I’m never going to find an answer to, but one that crosses my mind at least once a trip. One thing I do know though, is that number has grown considerably today. It was hard to move more than a few inches without being part of a tour group line-up, clothes-lined by a couple-selfie or an extra in a Japanese mini-photo shoot. 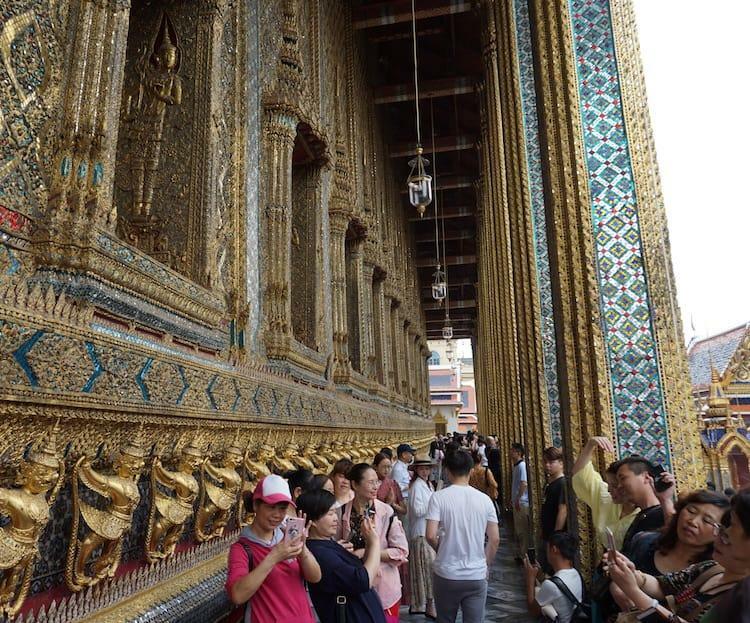 One of the big highlights of the Grand Palace is the Emerald Buddha. At nearly 600 years old, this statue has seen many things over the years. 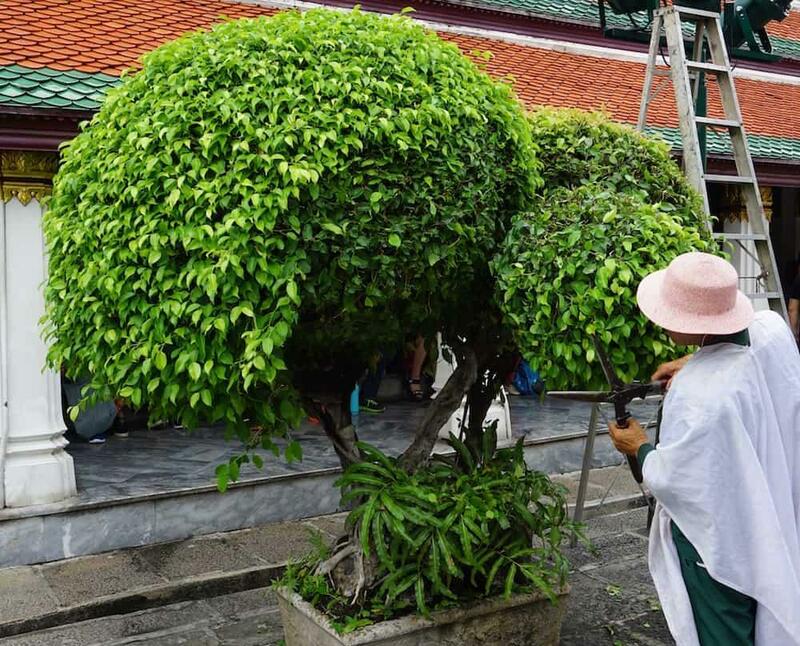 It’s lived in Chiang Rai, Chiang Mai, hopped the border for a stint in Laos, hanging out in Luang Prabang and Vientiane, arrived in the late 1700s to Bangkok for a five-year stay at Wat Arun before finally setting up home here at Wat Phra Kaew in 1784. That’s quite a trip (read these brilliant articles if you want to learn more about its fascinating journey). Unfortunately what he now looks out over is a scene not too dissimilar to St Paul’s underground station at around five-fifteen on a weekday. It’s chaos. I suppose it’s far for me to judge, I’m part of the problem! I’m not Thai and not Buddhist so this place does not hold the same meaning to me as the thousands of people who make a pilgrimage here. 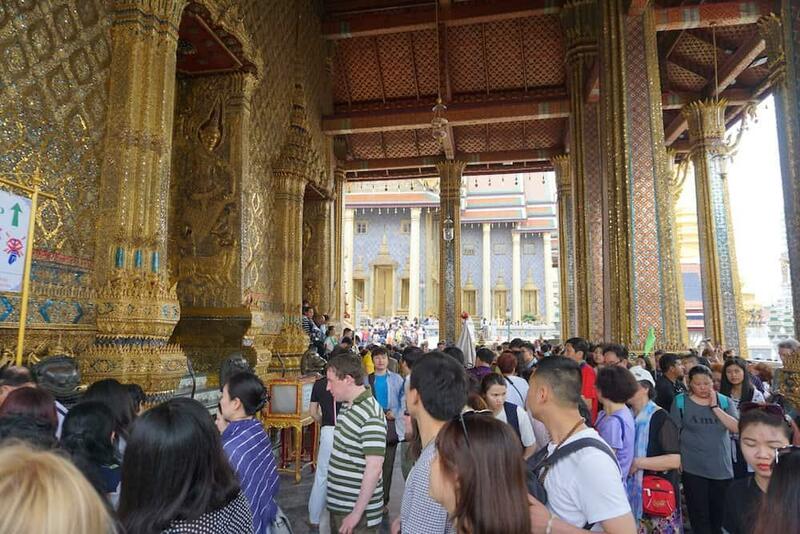 But the reality is, the majority of people in this room were from large tour groups, bussed in to the Grand Palace on a whistle-stop tour of Bangkok. “My first visit to the Grand Palace was around ten years ago, and I remember how peaceful it was to walk around the complex. While I was by no means the only tourist, there was still plenty of open space to leisurely admire the details in relative peace. Unfortunately, the tourist experience nowadays couldn’t be more different. 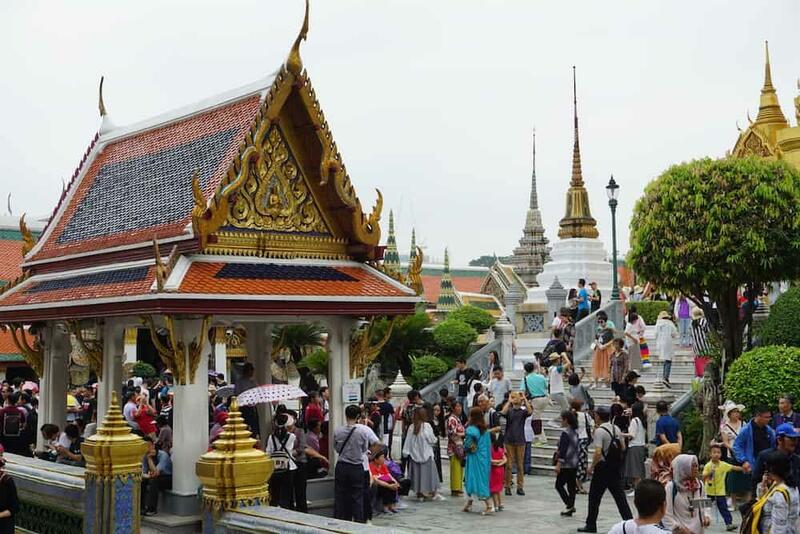 With loads of tour groups stopping off at the temple seemingly every hour, the experience can feel more like fighting through crowds at a concert than a visit to Thailand’s most spiritually significant temple. On top of that, foreigners now get charged 500 baht for entry. The sad part is, a large percentage of people visiting Wat Phra Kaew have no idea of the statue’s true significance or its storied history. Admittedly, during my first visit to the temple, I didn’t either. While the common complaints nowadays about the temple being an overcrowded and overpriced tourist trap do have some merit, arriving with prior knowledge of the amazing journey that the statue took to get here makes it a vastly different tourist experience. 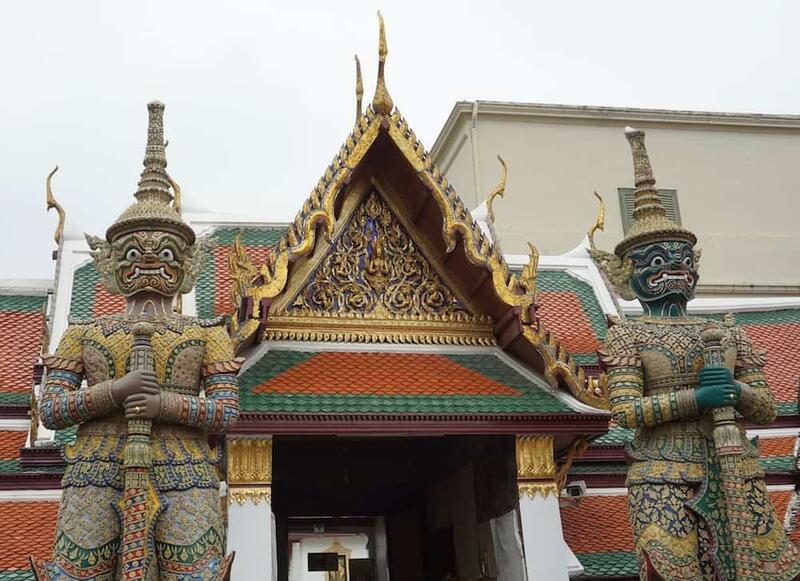 To offer up some mitigation for the Grand Palace, we visited on a Sunday, which I imagine is one of the busiest times of the week, though judging by the reviews on Tripadvisor, we are far from the only ones to feel shell-shocked by the experience. And if you do want a bit of an escape from the madness, the intriguing ‘Temple of the Emerald Buddha’ museum is located in the northeast of the complex, and was almost completely empty. Housing row upon row of mini Buddha icons, the Manangasila Seat, where Ramkhamhaeng, the great thirteenth-century king of Sukhothai, is said to have sat and taught his subjects, and some interesting model-village style displays of the Grand Palace area demonstrating how the area has changed over the ages. I hate to be a cynic (though you may think differently having read the above), but if people were really interested in visiting this historic place, then surely a stop into the museum at the end would be the perfect finish to their trip? Instead they process round, cell-phones in hand on a conveyor of tours designed to show they’ve travelled to Bangkok, when the reality is they’ve just ticked off another landmark. A moment’s calm in the madness! Well the choice is yours (obviously!). I’ll finish how I began. Coming to Bangkok and not visiting the Grand Palace would feel like an unfinished trip. But be prepared to be a little disappointed, and feel slightly ripped off. And after you have done, head straight out, get the boat over to Wat Arun and grab yourself a true slice of Bangkok which, thankfully, is out of reach of the coaches. I just had to comment on this, I am writing up about our experience at the Royal Palace and your title caught my eye as the absolute best way to describe our visit. Such a shame, there is so much to be appreciated there if they just managed it properly! We went on a Sunday, so maybe should have expected it to be so busy, but it was a real disappointment. So many smaller temples out there that capture the feel of the Grand Palace, without such chaos! Wat Arun over the river was my favourite, felt so relaxed there!